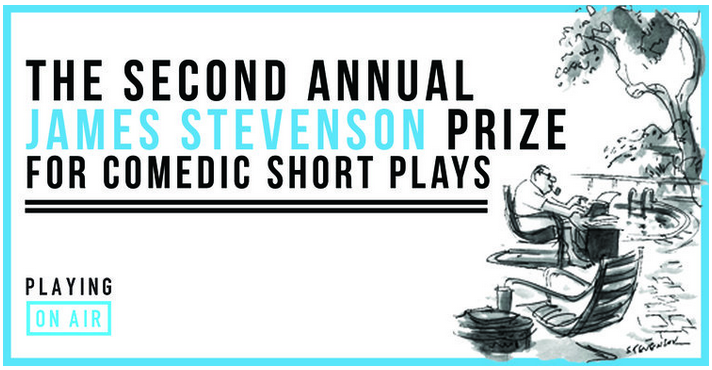 From Playing On Air, March 1, 2019, The Second Annual James Stevenson Prize For Comedic Short Plays. All the info here. James Stevenson Born, NYC, 1929. Died, February 17, 2017, Cos Cob, Connecticut. New Yorker work: March 10, 1956 -. 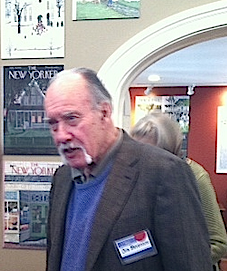 Stevenson interned as an office boy at The New Yorker in the mid 1940s when he began supplying ideas for other NYer artists. Nine years later he was hired a full-time ideaman, given an office at the magazine and instructed not to tell anyone what he did. He eventually began publishing his own cartoons and covers as well as a ground-breaking Talk of the Town pieces (ground breaking in that the pieces were illustrated). His contributions to the magazine number over 2000. Key collections: Sorry Lady — This Beach is Private! ( MacMillan, 1963), Let’s Boogie ( Dodd, Mead, 1978). Stevenson has long been a children’s book author, with roughly one hundred titles to his credit. He is a frequent contributor to the Op-Ed page of The New York Times, under the heading Lost and Found New York. Stevenson’s The Life, Loves and Laughs of Frank Modell, is essential. 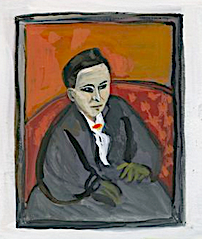 Ms. Kalman began contributing to The New Yorker in 1995. Link here to her website. Ms. Flake began contributing to The New Yorker in 2008. Link here to her website. 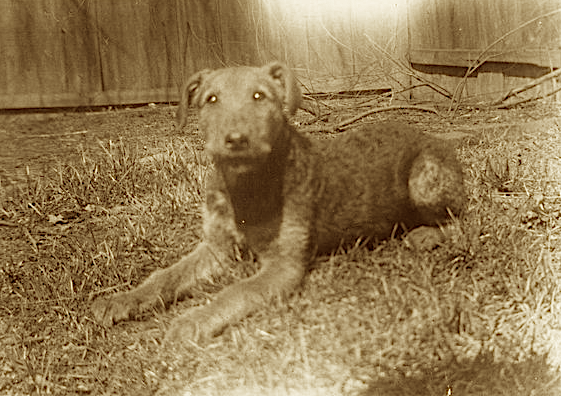 I may have posted this piece on Thurber’s airedale, Muggs once before a long while back, but I can’t resist posting again. Here’s the piece. Today’s Daily cartoon is by Ivan Ehlers (the subject is… ta-da! Trump).